John Sahag Workshop on Madison Ave. in New York City for dry cutting techniques. Bumble & Bumble Academy on East 56th St in New York City for high fashion, editorial styling, cutting and business training. L’Oreal Academy on 435 Hudson St. in New York City for color, balayage highlighting, method cutting, texture cutting and iconic styling. L’Oreal Training for 8 years around the country for fall/winter and spring/summer collections. Aveda – Trained the Aveda Concept in an environmental lifestyle and a zen method of the art and science of hair color, cutting and styling. Lisa Owens was a colorist at Frederic Fekkai for 2 years before opening her own hair salon with an artistic team of hair stylists dedicated to ongoing training. From soft natural highlights to bold and bright highlights, from natural colors of hair to vibrant colors of hair, Lisa Marie Owens is known for creating all types of colors. Every year Lisa creates beautiful styles for brides as seen in Weddings Unveiled Magazine, Belle The Magazine, Florida Bride Magazine, The Breakers Book Featured in each Room & The Breakers Wedding Website. Judy has been in the industry for 15 years. She specializes in color and dry hair cutting. 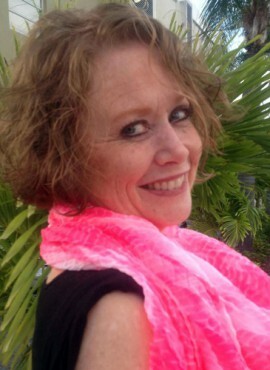 Judy is known for her precise hair shaping and natural hair color. Certified in Platinum Seamless Extensions – These extensions add length and volume with seamless natural look. With a very healthy lifestyle and a more holistic approach to hair, Judy believes in bringing out the natural beauty in her clients. She creates beautiful caramel color to contrast dark hair. Judy is a specialist in layered hair cuts to accent the natural colors she creates. She is also known for gentlemen’s hair cutting. Judy is very passionate about making her clients happy, feel good and beautiful! Karen specializes in all aspects of hair color, highlighting & balayage. 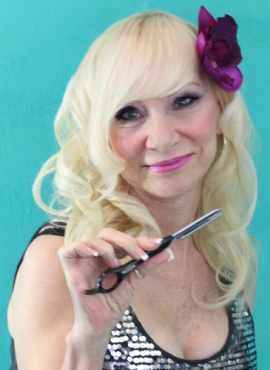 Karen started her career in Palm Beach, Florida at The Breakers hair salon. She creates casual hairstyles for men and women that are easy to maintain. She creates beautiful styles for proms and special occasions. Karen takes more of a Vidal Sassoon approach, by cutting the hair wet and then dry. 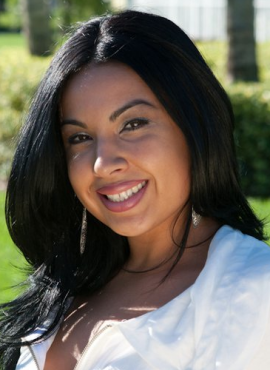 Dayna is a true nail manicurist who believes in the health of your natural nail. Dayna does not do artificial nails. She uses the most eco-friendly and green products available on the market today. Dayna uses a unique method of pedicuring using disposable and recyclable foot spa pedicure liners to maintain the highest quality of sanitation. Another unique feature for pedicures is a special tool used for buffing the feet. Each client is given their own buffer never used on anyone else. Dayna has been seeing clients for manicures and pedicures for the past 26 years. Please book your appointments 2 -3 weeks in advance. Please call the nail spa directly to make appointments at 561-547-1178.